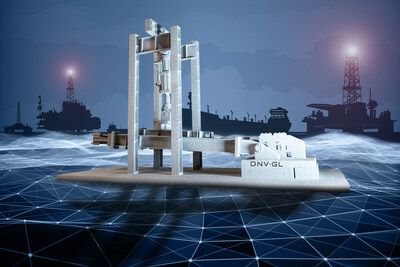 "We have been investigating the potential of 3D printing for the maritime and oil & gas sectors since 2014," says Marit Norheim, Vice President, Material Specialist, Hull, Materials & Machinery at DNV GL - Maritime. "With the introduction of the class guideline DNVGL-CG-0197, DNV GL is now ready to certify and support our customers and industry stakeholders to take advantage of this rapidly maturing technology. It will give end users confidence in the products and allow suppliers to offer their technologies and products for use in vessels and offshore installations." "Additive manufacturing means products and components can be printed according to local needs, or even on board ships and offshore installations," says Knut Ørbeck-Nilssen, CEO DNV GL - Maritime. "This equates to less lead time, less cost, less labour, less logistics, and less need to keep stocks of spare parts. AM can also be used for maintenance and repair, simply adding layers of material to worn components, thus negating the need to replace them." "AM parts that perform the same functions as those produced in traditional manufacturing environments must offer the same levels of quality assurance," Norheim adds. "Similarly, the companies that have designed the parts must protect their intellectual property, so that customers can be sure they are receiving genuine products that are guaranteed fit for purpose. This is why this guideline is so important to all industry stakeholders." With the new guideline, DNV GL has created a clear pathway for AM certification and has the processes in place to assess every parameter that will impact upon the final products - from the material used, to a technology assessment, manufacturing procedure qualification, data transfer, and the actual printing and post processing.